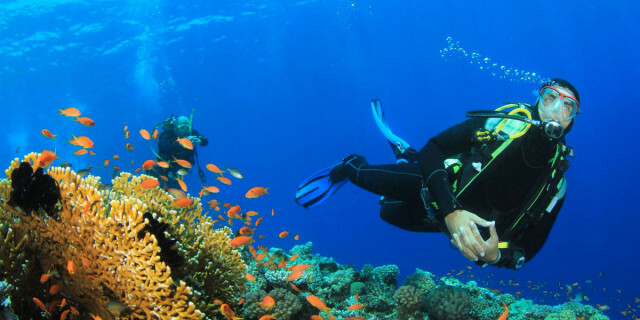 No experience with snorkeling is required. Toilet, showers, restaurant, and shops near to the starting point. 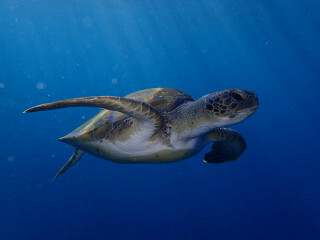 Numerous turtle species thrive in the turquoise waters of Tenerife. This adventure speedboat trip takes you straight to the spot where you can have a close encounter with these gracious creatures. 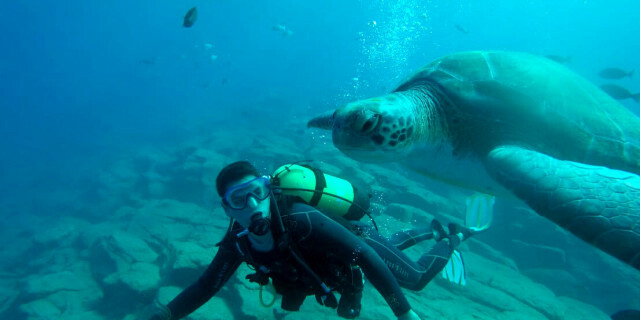 To make the most of this experience, you are with a professional guide who teaches you how to safely and respectfully interact with these sea animals. The tour starts at 9:00 a.m. from Puerto Colon, a modern marina located in the south of Tenerife, just a few meters from our headquarters. If you prefer, we can arrange a transfer from your accommodation (extra fee applies). In this case, the guide picks you up at about 8:00 a.m., taking you for a ride through the beautiful landscape of Tenerife. Impressive rock formations and beautiful vegetation are all around. You can travel light, as all the necessary gear for this trip is included. Bring only the clothes you would usually wear to the beach and a towel. We offer you drinking water and snacks on the boat. Don’t worry if you have little to no snorkeling experience. Your guide shows you how to use the equipment, and whenever you need some assistance, he is there for you. 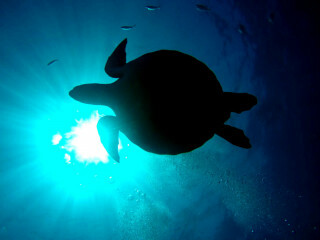 Before jumping into the water, he gives a brief explanation about the underwater world, specifically about the turtles’ behavior. 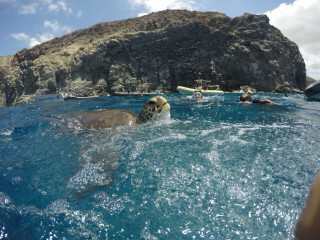 By following your guide’s instructions, you will make the turtles feel comfortable enough to get close to you. 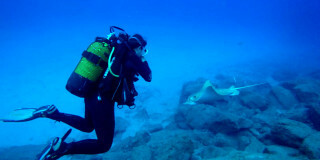 You may also encounter other marine species, such as see rays, and many kinds of fish. 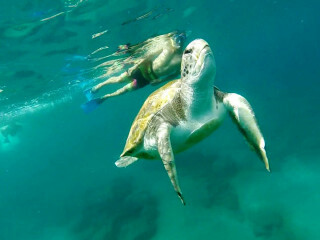 The snorkeling session lasts more than one hour, and your guide is with you at all times. 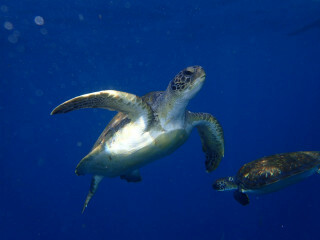 Once you are out of the water, you and your guide share impressions of the activity and head back to the shore. The breathtaking scenery, the adventure speedboat trip, and the relaxing on the water make this tour a unique experience to remember.